Essiac For Babies, Infants and Toddlers: What you need to know. The dosage of essiac tea for babies is different than it is for adults due to bodyweight. Use this chart to find the recommended starting point for the correct dosage. These are simply our recommended doses that will be ideal for your baby based on our past experiences. You may wish to give more or less essiac tea per dose according to your own research and beliefs. If your infant weighs up to 15 lbs: USE 1/2 ounce once per day. 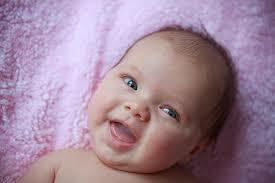 If your baby weighs 15-35 lbs: USE 1/2 ounce twice per day. If your baby or toddler weights 35-55 lbs: USE 1 ounce twice per day. NOTE: If the dose given is too much too soon before the baby has time to adjust, diarrhea may occur. This is okay as long as it is not excessively uncomfortable. It is usually a sign of detox occurring. However, it is important that the baby doesn't become dehydrated. Therefore, the recommendation that a large dose of essiac be taken must be balanced against the downside of causing diarrhea. You'll need to find the happy medium that works best and consider building up as tolerated. You have a couple of choices for administering essiac tea. Our first recommendation is to try mixing the tea with a liquid. Water will work if your baby isn't averse to the taste of essiac tea, but you might need to use a liquid that's more enticing to get him or her to take the tea. Administer essiac using an eye dropper, syringe or turkey baster, or bottle. Consider mixing essiac with your baby's favorite liquid (juice is preferred over milk for efficacy). Although it is recommended that your baby take the tea one hour before or two hours after a meal (in other words, on an empty stomach), you might find that there is simply no other way your baby will consistently take essiac. Many people have had success with essiac by mixing it in their baby's food even though the dosage won't be administered on an empty stomach. Giving your baby essiac mixed in with his or her food is much better than not giving essiac to your baby at all. When brewing essiac tea for a baby, you shouldn't brew a gallon of tea at a time. One pint or one quart will be more appropriate, as you are advised not to brew more essiac tea than you'll use in the next two weeks. Of course, if others in the house take essiac too, go ahead and brew that gallon! prepare 1 quart at a time. 1 oz. of dry herbs makes 1 quart of tea. prepare 1 pint at a time. 1/2 oz. of dry herbs makes 1 pint of tea. Click here to order essiac for babies, infants or toddlers.